The first time I tried this was when we have a team building activity at Sachies Kitchen when Rohan demonstrated us how it’s made. At first I thought what is that thing, it looks ugly and unappetizing at all but once I got one bean I got hooked instantly and never had stopped, it is so addictive. 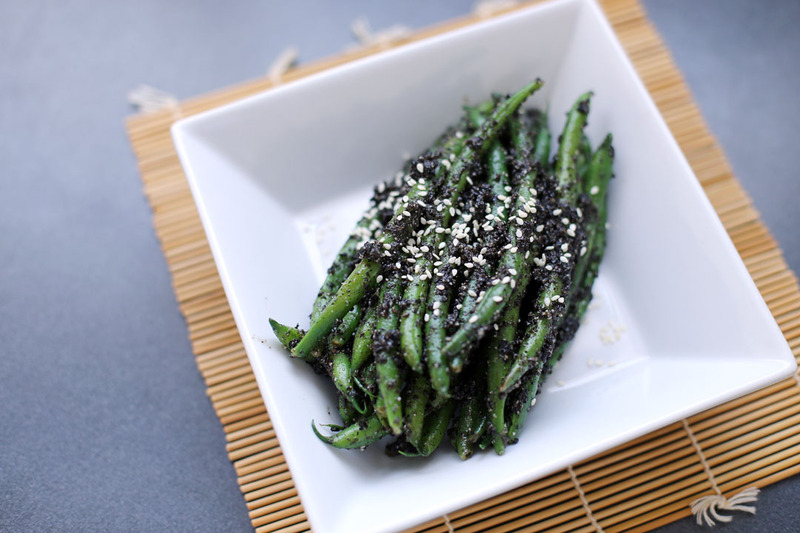 The recipe calls for blanched beans covered with seasoned sesame seed paste, this preparation is what the Japanese called it “Goma-ae“. It’s so delicious and so filled with umami, it brings out the flavour of the vegetable and the sweet and salty combination just works fine. The recipe below was adapted from the recipe that was handed to us during the day, I adjusted it a bit to suit my taste buds. You can try them with different vegetables like broccoli, cauliflower carrots and asparagus. Blanch beans in boiling water for around 90 seconds. Drain then rinse with running cold water until there’s no more steam coming out from the vegetables. Set it aside. 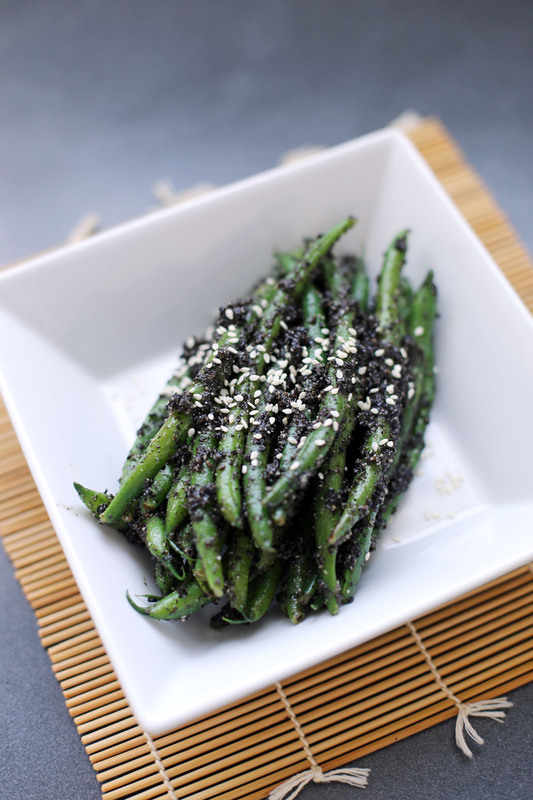 In a bowl combine black sesame seed powder, brown sugar and soy sauce then add this mixture to the beans. Finish is giving away some gift pack so if you reside in Australia or New Zealand what are you waiting for, key in your details through this page. I’ve had something similar with asparagus and it is delicious! This looks wonderful. I can only imagine the flavours. Mmmmmm – Raymund – this sounds delicious – I will have to track down that black sesame seed powder. Can’t say I’m fond of the colours…but as they say, beauty is only skin deep. I love gomaae! I usually make with white sesame seeds, but I also love the taste of black sesame seeds too. Healthy and light dish – I love it! I love black sesame seeds but have never heard of black sesame seed powder. Need to keep an eye out for that. I’m not sure where the ugly comes in because these beans looks quite delicious to these eyes.